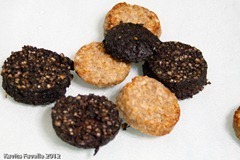 Having been sent a Clonakilty black pudding and white pudding for St Patrick’s day, we ate half of each in a mighty fine fry up. That left us half of each sausage, already sliced and fried, ready to use. From the freezer, we pulled out a box of home-grown tomatoes, which I’d roasted with a little olive oil and pureed into a smooth, thick sauce, before freezing. For this quick and delicious dinner, we simply chopped the pudding slices into small pieces and mixed into the tomato sauce. Once heated, we stirred the chunky sauce through some pasta. Note: we cook 120 grams of pasta when cooking dinner for 2, but understand that some prefer larger quantities, so cook your usual amount! 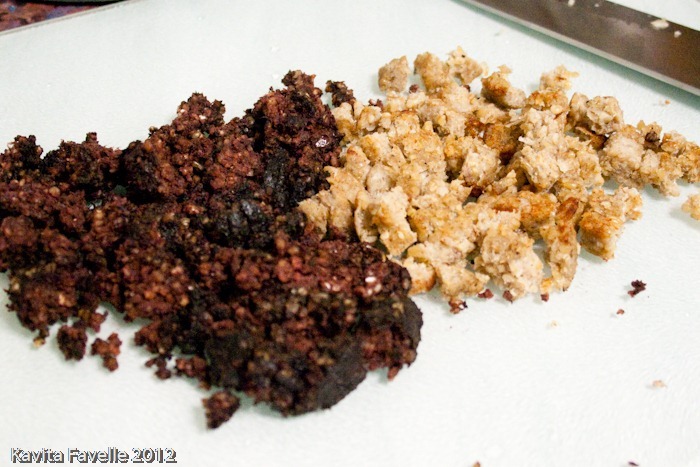 Combine cooked and chopped black and white pudding with roasted and pureed tomatoes. Heat. 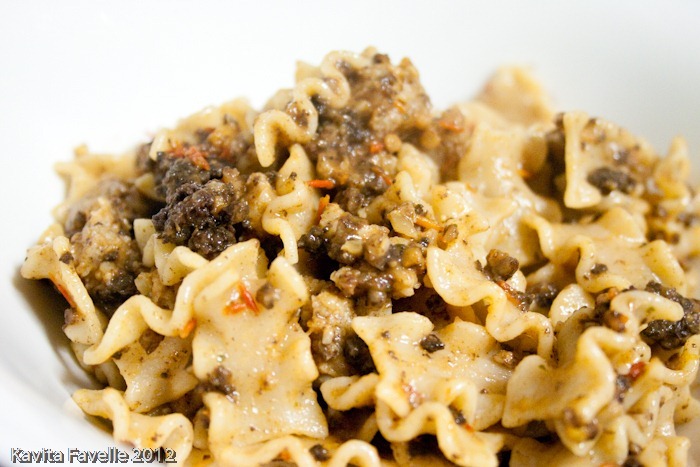 Once pasta is cooked, stir through the sauce and serve. When we made this and as I wrote this post, I was chuffed to bits my new recipe idea, but of course, like all good ideas, others got there first, as I discovered reading the newspaper a few days afterwards. 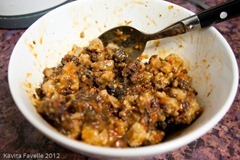 Do click through to see Niamh’s Spaghetti Corkese recipe. 5 Comments to "Pasta with Black Pudding, White Pudding & Roasted Tomatoes"
I didn’t even know white pudding existed! This may be a stupid question but does it actually taste anything like black pudding? Black pudding pasta sounds sensational and this recipe just shows the benefit of keeping a heap of goodies (like a home made tomato sauce) in your freezer. A perfect week night dinner. What is white pudding, Kaves? I’ve never heard of it before, but it sounds intriguing!! Natalie, Celia, white pudding is similar to black but without the blood. It has pork meat, pork fat and suet (beef fat) as well as oatmeal in it. It tastes closer to a regular sausage. Cara, the tomato sauce is a good one for us, as it makes for a quick supper. It doesn’t even have onions or anything else cooked in, it is literally just the tomatoes, roasted in a little oil and pureed. Ooh – lucky you! I do adore a good black pudding…. White is nice too, but it’s the black that has me swooning. Nice idea to add it to pasta!